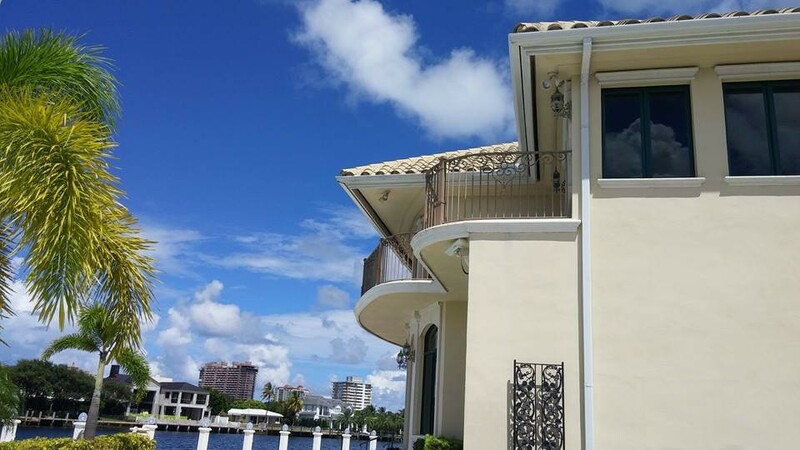 Seamless Gutters Palm City is the firm for gutters and gutter systems in Palm City. We have more than ten years of experience installing, maintaining, repairing and cleaning gutters. We offer seamless gutters, gutter installation, gutter repair and gutter cleaning. The importance of gutter systems is easy to overlook. Gutters channel rainwater so it does not become a problem. Well-functioning gutters prevent problems that can result when water negatively affects a structure. The climate of South Florida means a lot of storms and a lot of rain. 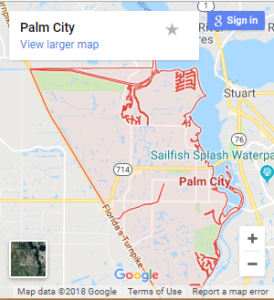 Palm City Gutters protects residential and commercial structures in Palm City from damage that can be caused by Florida’s copious amounts of rain. Gutters may become damaged in wind, or develop weak spots over time. Damaged gutters cannot adequately control water. Uncontrolled water can lead to damp walls, and over time can even lead to erosion of the foundation. Water can seep into the roof or interior walls and cause structural damage. Water seeping into a structure can also lead to mold and its potential health and liability issues. Palm City Gutters recommends periodic inspections to determine if your gutter system is functioning properly. Any repair needed should be made as quickly as possible. Maintenance of gutters is also important, but often overlooked. Gutters can over time be filled with leaves, twigs and other matter, blocking proper flow. Downspouts can become blocked with leaves and other debris, resulting in uncontrolled overflow. Seamless Gutters Palm City has a specialty of gutter cleaning, which includes downspout cleaning. We can also design a downspout draining system. Gutters must be professionally installed to do what they are designed to do. Poorly installed gutters may actually contribute to the problems they are designed to control. Palm City Gutters hires only well-trained professionals. Our professionals excel at installation. We are so confident of the quality that we offer a 100% satisfaction guarantee. Seamless Gutters Palm City doesn’t just install gutters. Our inspection, repair and maintenance of gutters prevents problems with gutters in Palm City. Call us to request a free estimate.